Ford’s tiny 3 cylinder turbo engine and ‘performance’ aren’t something you’d normally associate together. With an engine footprint that would fit on a A4 piece of paper, it’s a pleasant surprise to find the Fiesta/Focus/Etc. has respectable performance when you drive it in standard form. Although it certainly doesn’t set your world alight and is more of a sensible composed car rather than sporty hatch. Revo's calibration development team is one of the best in the industry, but with the stigma attached to small engines like the 1.0L our expectations were relatively low. 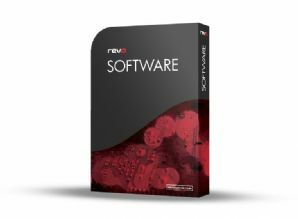 Our expertise and in-depth R&D are perfectly demonstrated with this stage1 software, as the dyno curves show and driving a Revo'd car proves Revo makes a huge difference to the capability of this little engine. Stage1 performance software gives huge improvements in power and torque throughout the rev range, adding more flexibility and a sportier edge to the already fast spooling turbocharged engine. Power is available at the touch of the accelerator, the performance increases are noticeable whenever you want to use them and the long gearing of the manual transmission works much better with the newfound power. With our testing showing the 0-60 sprint 3 seconds quicker than in standard form this little 1.0L proves it can punch way above its weight.